Note: Todays challenging couplet comes from the 2009 CrossFit Games “Last Chance Qualifier” for the Regional event. There are three weight categories for men and three for women. Mens weight for is (A) 275lb., (B) 225lb., and (C) 185lb. Women’s weight is (A) 185lb., (B) 155lb., and (C) 115lb. Further reductions in weight will be made available in each class. In 2009, times under 5:00 were world class and might have resulted in a trip to the CrossFit Games. How does your time stack up today? For a little history on Greg Amundson’s experience with todays workout, check out this OLD SCHOOL CrossFit Journal article. Be sure to read the details under todays photograph for a chance to WIN FREE CrossFit Games 16.5 Announcement Tickets! 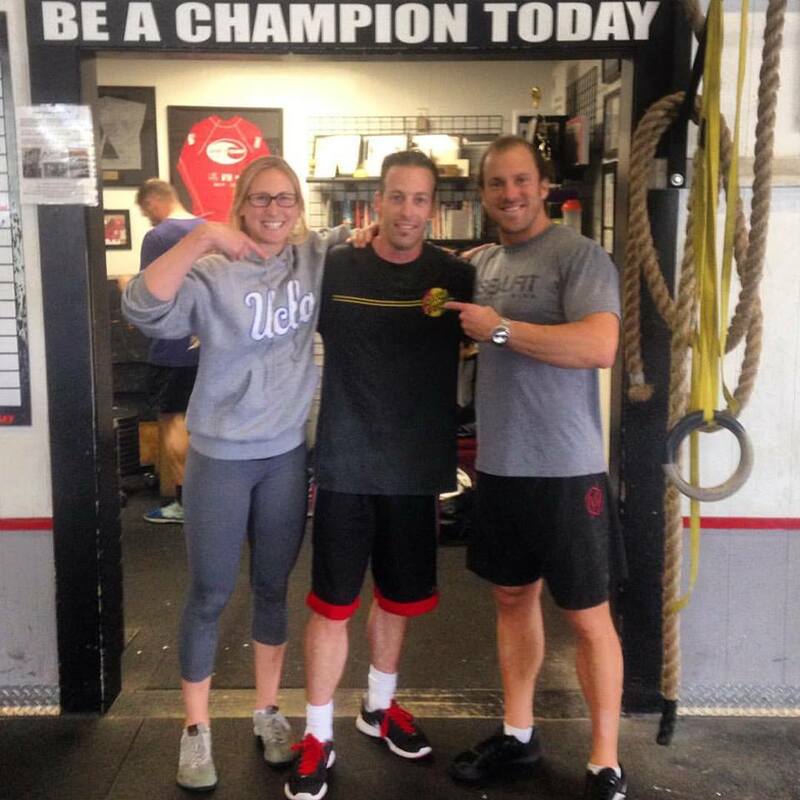 Rob is a Bar Muscle-up Champion! Our gym has 5 Free Tickets to the 16.5 CrossFit Games Open Announcement at the famous “Ranch” in Aromas, CA. Be sure you enter your name for the drawing that will take place tonight at 7:00 PM at HQ. Any questions, please check with Greg, Melany or Nate. Good luck and safe travels to Greg Amundson who will be teaching a CrossFit Seminar for the Merced Police Department SWAT Team today. Compare todays time to last week and try to set a new record! Krav Maga Please note Krav Maga is canceled tonight.